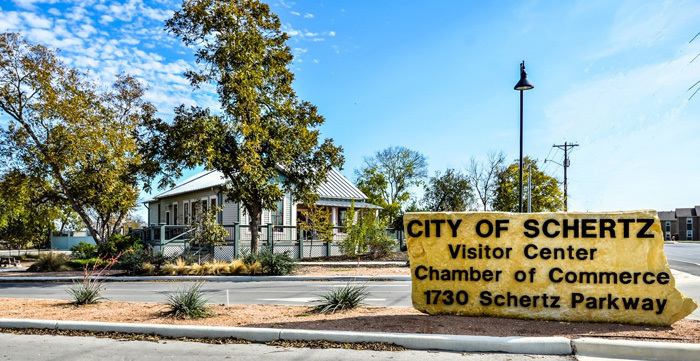 Schertz is a pretty close knit community, and part of that stems from the amazing community centers and facilities it offers for its residents – places they can meet, come together, work, play and have fun all year round. If you’re planning on moving to the Schertz area, you’ll want to become familiar with these places long before you settle in. They will offer you a place to meet your neighbors, work out, join a team, find care for your children and a number of other must-have amenities for a new residents. Schertz YMCA – The Schertz YMCA is one of the best resources in the area for a new resident. For one, it’s a great place to work out. It offers an 8,000-square-foot wellness floor, cardio and weight lifting equipment, a full basketball gym, a 24-foot rock wall, a splash pad, fun group exercise classes and more. It also offers a whole slew of exciting programs for all ages. For the athletic types, there are baseball, basketball, soccer, swimming and volleyball leagues, as well as lessons. There are even Kid Fit programs for the little ones, or if you need a day away from the kiddos, the Y offers a number of child care programs, after school care and early learning classes to help keep them safe and occupied. The Y also offers specialty camps for specific sports, activities or artistic endeavors, and day camps offer a great getaway for those summer months away from school. It’s a one-stop shop for all things family. Pickrell Park – Another great community gathering spot is Pickrell Park, which offers something for every member of your crew. The expansive public area boasts various swimming pools, basketball courts, playgrounds and more. There are even grills, picnic tables and pavilions, if you’re looking to host a party or get-together, or if you want to get a quick workout in, the park’s trails are the perfect place to walk, run or take your dog on a quick jaunt. It’s just one of the many parks offered in Schertz, but it’s definitely a resident favorite! Schertz Civic Center & Schertz Center North – While these two facilities don’t offer programming or play areas like the others, they are available for rental for events, weddings and other happenings. They’re also often the host for many of the city’s events, like the Schertz Jubilee or the annual Schertz Christmas Market. Events like these are big hits with the community, and they offer a great way to meet your neighbors and join in the Schertz fun. Be sure to watch the city’s website for details on these events as the year goes on. Crescent Bend Nature Park – Crescent Bend, a sprawling 190-acre nature park, is a hub of Schertz activity. Not only does it boast some awe-inspiring sights (30 species of trees, 200 species of birds and 35 species of wildflowers! ), but it also offers loads of outdoor fun for all ages. The trails make for the perfect spot to hike, bike, run or walk the dog, while the fishing areas are great for whiling away the day with friends, family or just soaking in some alone time in the sun. There are also picnic areas, canoe launches, pavilions and nature observation areas. If it’s your first time out to the park, make sure to get one of the guided tours so you can experience the whole thing! Many neighborhoods throughout Schertz also have their own individual community centers, which often boast swimming pools, play areas, pavilions, parks and even rentable spaces for events and parties. Be sure to check for any of these amenities when you’re house-hunting in the area. They could add even more value to your new home purchase! DO you want to take advantage of all the community amenities that Schertz has to offer? Then come join us in our quaint little Central Texas town. Contact an agent at The Claus Team today, and we’ll help you find the perfect property to match your budget, needs and preferences. We’ll even help you tour properties, negotiate on pricing and walk you through each and every step of the home buying process start to finish. Call us today, and we’ll get started on a list of personalized properties just for you. Your new life in Schertz is just a phone call away!